Unaccompanied Flute Solo “Le Rêve féerique” is published! 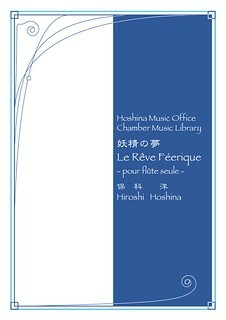 Unaccompanied Flute Solo “Le Rêve féerique” by Hiroshi Hoshina is published on 3/14! The “Le Rêve féerique” is a compulsory music of semi-final round of the 25th Japan Woodwind Competition 2014 (Flute). 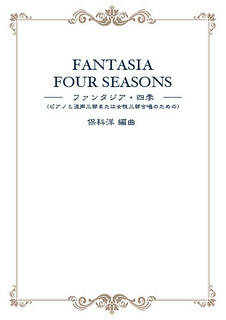 This sheet music is now distributed from Amason.co.jp. Click the yellow amazon button and change language to English with a language switcher on the right top corner of the page. If you consider buying from us, please follow our instructions in this page. 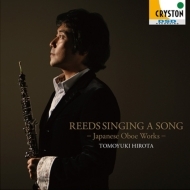 A fantastic solo oboe album performed by Tomoyoki Hirota has been released by Octavia Cryston. 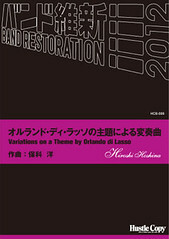 In this album Hirota recorded Hiroshi Hoshina’s “Oraison et Jeux ~ sous un rai lumineux (pour hautbois et piano)” , an oboe piece that he commissioned Hoshina to compose his recital held in 2003. For details about the sheet music of Oraison et Jeux, see here. See details in Requiem - in mourning of the death of a young man -. Sheet Music of Fumon & Mnémosyne is now available! Hiroshi Hoshina’s music is often regarded as being influenced by the French impressionists, yet his works evoke a Japanese aura. In his early career as a composer, he attempted to explore contemporary and experimental music, but decided that did not fit his style, and he begun to explore the possibilities inherent in tonal music. His music is fluid and organic, and sounds like it should be easy to play; however, performers often note the surprising depths and complexities that are characteristic of Hoshina’s music. Please find detailed descriptions of these works. 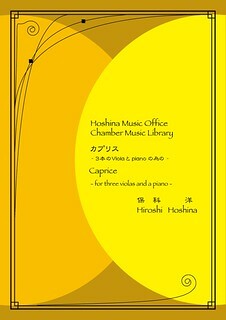 Get a free sample CD performed by Hoshina Academy Chamber Orchestra “Ensemble=Harmonia” when you buy this sheet music! A report from 21st international competition “CITTA DI PORCIA” Corno 2009, held in Pordenone, Italy. A variation on a theme of “Mon Coeur se recommande a vous” composed by Orlando di Lasso. 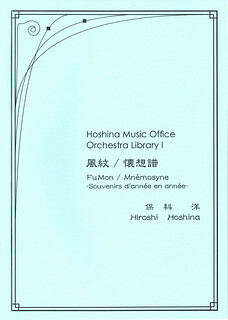 Hoshina Music Orchestra Library will be published! 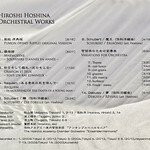 We will publish Hiroshi Hoshina’s orchestral works on beginning of June! See details in Debussy / Rêverie (for orchestra) . See details in Schubert / Die Forelle. Sheet Music is available from us. See details in wind quintet "Des espiègleries innocentes"
Performed by Hoshina Academy Chamber Orchestra “Ensemble=Harmonia”. See details at Variation for Orchestra. Takashi Akiyama(cond.) 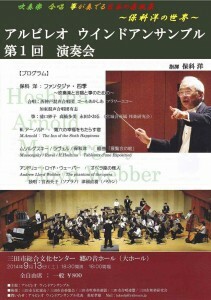 , Hoshina Academy Chamber Orchestra “Ensemble=Harmonia” 15 Aug. 2009, Okayama. See details in Fumon for orchestra. Orchestra “Ensemble=Harmonia” 15 Aug. 2009, Okayama. Hiroshi Hoshina(cond.) 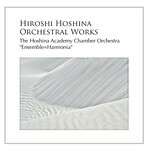 , Hoshina Academy Chamber Orchestra “Ensemble=Harmonia” Recorded by PALS Tokyo Co., Ltd. 29 Aug. 2009, Tokyo. We accept orders from music shops if the shop agrees with the conditions listed below. The music shop will lend our rental material to only one performing organization per order, and the name of the performing organization must be written in the “Organization” section of the Rental Agreement Form. The music shop has responsibility to explain about all contents written in the Rental Agreement Form to the performing organization. The responsible person in music shop has to print and sign his/her name in the “Name” and “Sign” section of the Rental Agreement Form on behalf of the performing organization. All invoices will be sent to the music shop, including additional charges such as late return fee, replacement fee, etc. Currently we do not offer dealer’s price. The rental price will be decided with a price-category of the performing organization. Currently we do not offer dealer’s price.